This is small job. 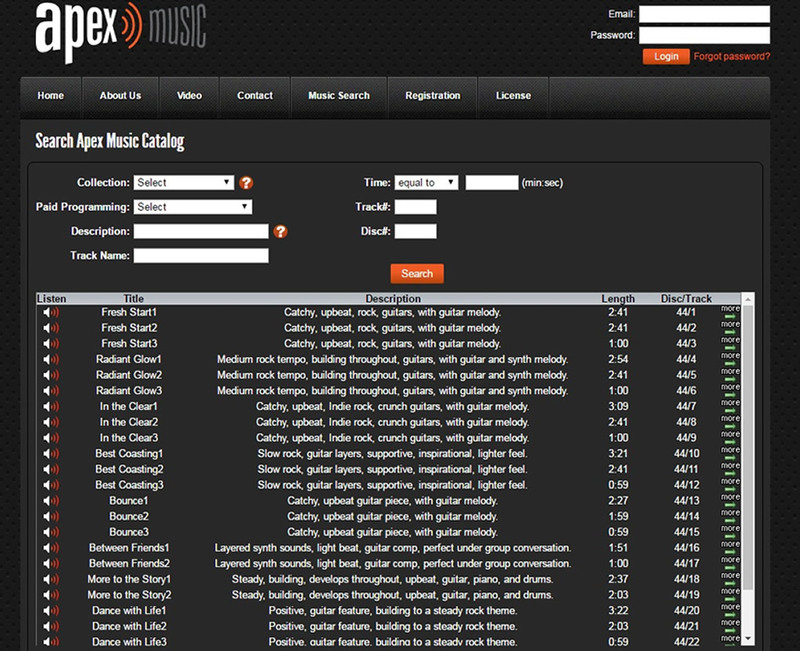 For some reason the search on for Apex music isn’t work as it should. I don’t think it had before, the owner just noticed. When using the search function you can look for songs that are a certain length. It works fine for songs over 1 minute, but does not work for songs under a minute. For example if you choose Length equals 0:59 (min:sec), it does not find anything. The search is not taking into account the seconds. If you search for 2:40 (there are is at least one in “Happy Feel Good” category), it does not find a match. I have checked the issues in registration page. Recently you have upgrade PHP in you server. In recent PHP version you must configure default_timezone in the server. You didn't configure correctly, so only that this error is occurred. Currently I have fixed this error with adding the function "date_default_timezone_set('America/New_York');" in mysql connectivity file (Connections/apex.php).